The significance of Raksha Bandhan comes directly from our ancient Hindu Mythology. The brothers of 21st Century have a lot to learn from our Gods. We have found lovely Raksha Bandhan gifts given by Gods to their sisters. Watch out these interesting gifts and take some inspiration from them to surprise your lovely beauties. To know the complete stories of these Gods and Goddesses you can read Legends Of Raksha Bandhan. Lord Krishna had once got a cut on his ring finger. On seeing this Draupadi immediately tore a piece of cloth from her saree and tied it in his finger. 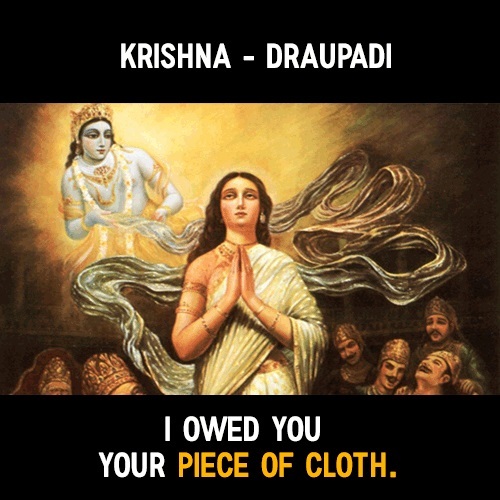 Later, when she was humiliated in front of hundreds of men and people had attempted to disrobe her, Lord Krishna returned her the piece of cloth in the form of a never ending saree. Lord Vishnu was returning a favor King Bali had done for him by being his personal gatekeeper. 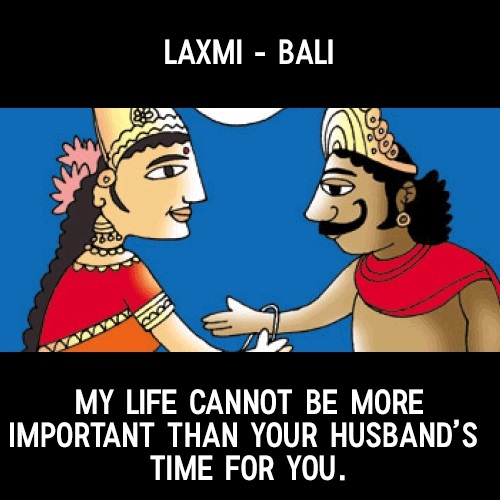 Laxmi was upset about not able to get the time of her husband. So, she went to Bali in disguise and tied him a thread representing trust and love. In return King Bali granted her wish of taking back her husband – Lord Vishnu along with her. 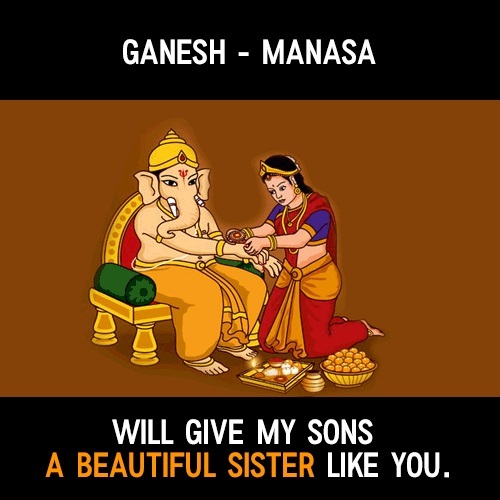 Lord Ganesha had a step sister – Goddess Manasa. But, the love they had between them was praise worthy. Ganesha had granted Manasa her weird but very sweet wish and that was – Santoshi Maa in the form of a sister for his sons! 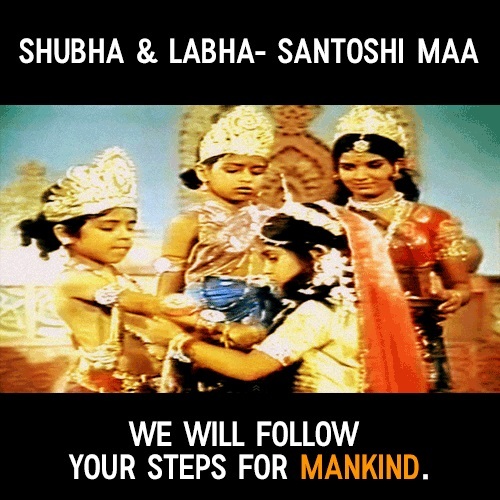 Goddess Santoshi asked Subha and Labha to gift her something very selfless on Raksha Bandhan. She wanted them to serve the mankind for a better them. 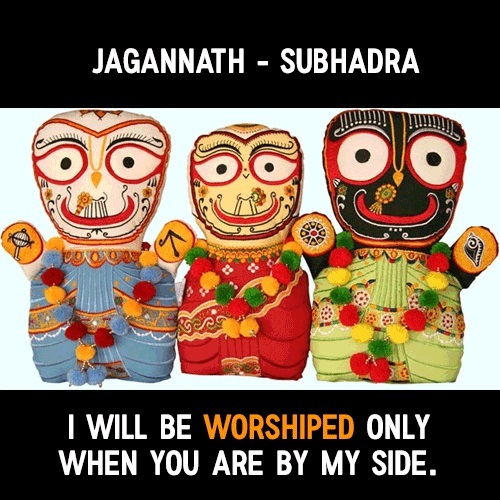 Jagannath never wanted to be worshiped without his sister not being on his side. 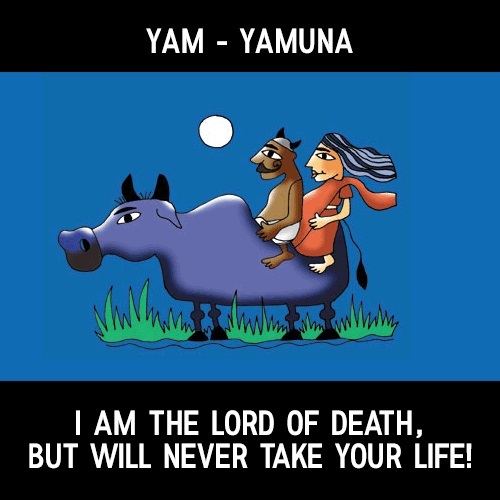 Yama is said to be the God of death and the Yamuna is the sacred river flowing which destroys negativity. Yama respected her nature and hence granted her the gift of ‘immortality’ on the eve of Raksha Bandhan. 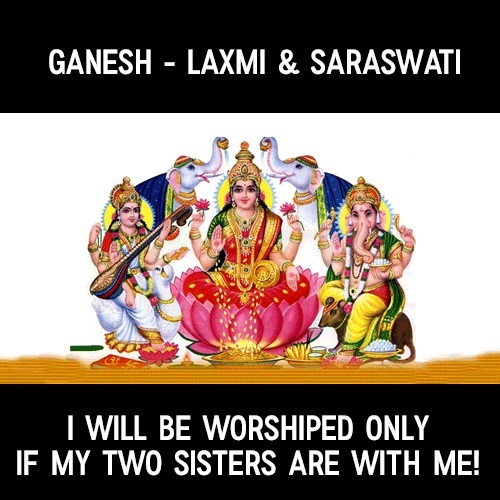 Lord Ganesha was very proud of his sisters. 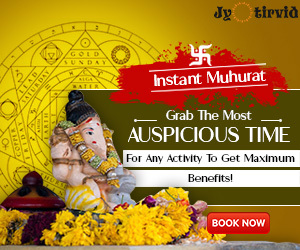 Hence, Goddess Saraswati and Laxmi are always found along with him. The presence of this complete trio brings in a lot of auspiciousness. 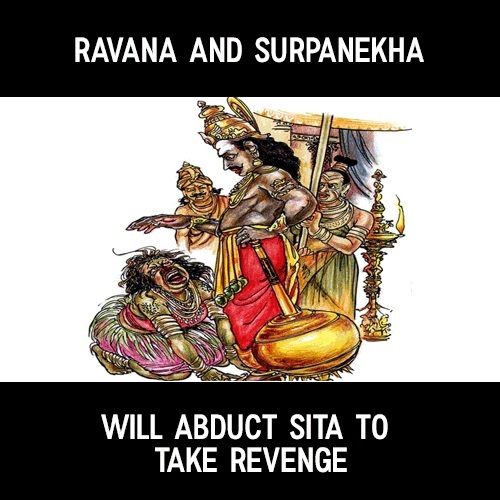 Ravana did not think twice before kidnapping Goddess Sita just because his sister was assaulted by Lord Laxman and Ram. Well, among the good brothers there are bad ones as well. 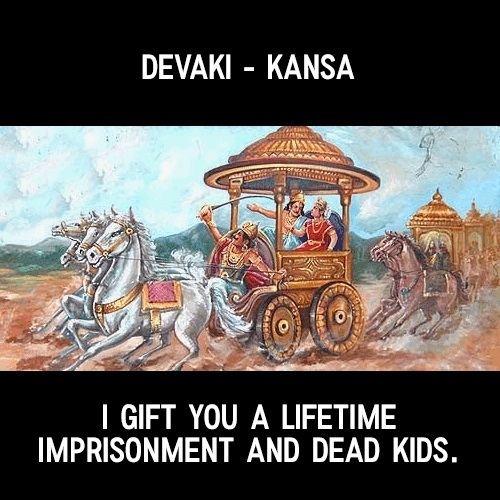 Kansa – the demon king was the worst brother in the entire Hindu Mythology. He was solely responsible for making his own sister’s life full of misery. 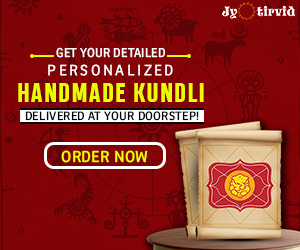 The concept of Raksha Bandhan is mainly that of protection, however, It symbolizes the unmatched bond of love, care and respect between Siblings as well. But in a broader perspective, the festival of Rakhi (Raksha Bandhan) conveys an intrinsic message of universal brotherhood and sisterhood. Do let us know if you too know any such amazing relationship of brother and sister. Wham bam thank you, ma’am, my qutenioss are answered!